The Bible appears to indicate that there was a specific purpose in the creation of Eve, from Adam, to be a helper fit for him. It seems, then, that the design of Adam and Eve may be distinct, while they both bear the image of God. So, what specifically is the significance of Eve's being created as "a helper fit for [Adam]" in the doctrines of Young-Earth Creationists, or those who take a literal interpretation of Genesis? What does that mean about her specifically or the inner being of a woman? I understand there can be some pretty emotional responses to this question, but I'm concerned with specific exegetical interpretations of this rather than reactionary or biased opinions. The following is taken from a wonderful book called Our Father Abraham: Jewish Roots of the Christian Faith by Marvin R. Wilson. It explains that an understanding of early Jewish culture helps to understand how they understood scripture. With this understanding, some scripture takes on a different meaning than we would expect today. Just as some phrases we understand to mean certain things during our time, like “I can dig it,” “That’s groovy,” “That’s fly,” etc. may not be recognized, or translated, to have the same meaning they had in the ‘70s, 2,000 years from now. 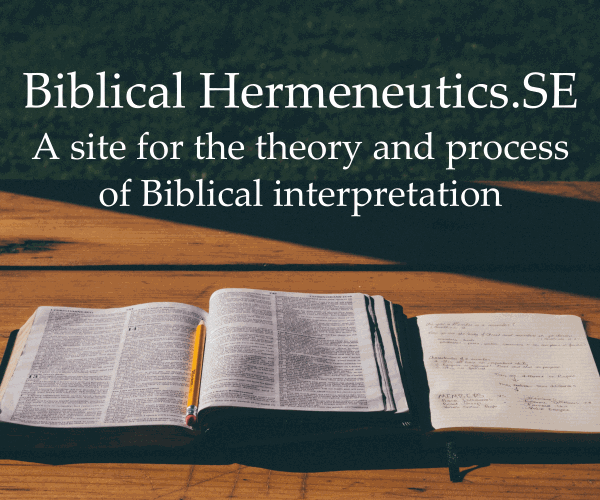 I am not sure what you mean by significance of Eve being created “as a helper…” However, with an understanding of the original Hebrew text, the role of “helper” is significantly deeper than it seems on the surface. It appears, using the Hebrew text, that Eve was created to lift Adam up during times of weakness, or need, bringing him strength (or power), as an equal partner rather than taking the role of a servant as many interpret this passage today. I do accept literal interpretation (correct interpretation). I believe Eve was made a “power (or strength) equal to him” (ezer kenegdo). Catholics are not bound to not take a literal view of Genesis so I think I can reasonably take a stab at this one. And personally, I do believe this part to be oh so very true since it explains humanity so well. In Bl. Pope John Paul II's addresses known as the Theology of the Body (TOB), he elaborates on this part of Genesis in light of what Our Lord says about marriage and the meaning of the sexes. They're made of the same stuff. But, man, through God's plan creates, by giving of himself. Woman is the receiver, through God's plan for her life. Each woman is mother of all the living (the eve) of her progeny. The TOB in a nutshell is that man (or the masculine) is the giver and woman (the feminine) is the receiver. And if that relationship is to be good, as God created it, it is to be a loving relationship. It doesn't mean subjugation for women. In light of Genesis 2:18, you may be led to believe the Eve is the perfect helper of Adam. But, if God had created woman first, she would have been in a similar predicament in the company of all the beasts. This “man” refers to the human person, and not just to the male. Shes definitely subservient. It also appears elsewhere in the bible stating that man is the image of god, and women are the image of man. And that man should have authority over women. Not the answer you're looking for? Browse other questions tagged exegesis creation sexuality adam-and-eve young-earth-creation or ask your own question. Were Adam and Eve the first? God created male and female… What about those who do not fit in the box? Which came first, man or animal? When was the first man created? How old did Adam and Eve look when they were created? Did God change the DNA and genetics of Adam's rib? According to Catholicism, why was Adam alone given the charge of naming the animals and birds?